Our pressure reducing memory foam mattresses contour to your body for complete comfort, without losing the support you need. Choose from a variety of made-to-order top-quality memory foam mattress styles including Memory Zone, Tri-Pedic® series, Soft-Pedic™ and Fibro-Pedic™. Click below for more details and larger images. Our Affordable Memory Foam Mattress Series With Free Shipping! Quality 4lb. 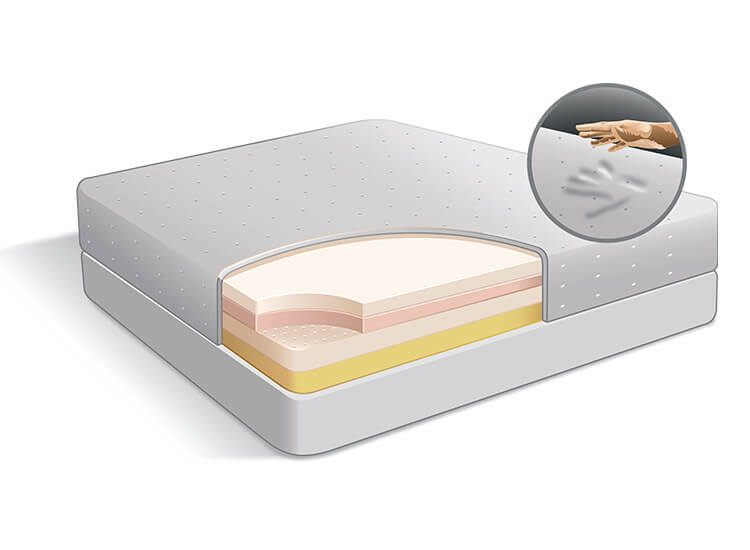 memory foam and PolyFlex support foams are utilized in different layers to create an economical memory foam bed which helps provide contouring support and comfort. Super Sale Prices, Starting at only $699! Super Sale Prices, Starting at only $899! As the firmest model in the Tri-Pedic line, the Tri-Pedic Gold offers a perfect solution for back sleepers or side and stomach sleepers looking for that contouring support with less cradling and plushness. Super Sale Prices, Starting at only $1099! As the original model in the Tri-Pedic line, the Tri-Pedic Platinum offers a plush plush feel, while still retaining the support you need for back, side or stomach sleeping. Super Sale Prices, Starting at only $1399! As the most luxurious model in the Tri-Pedic line, the Tri-Pedic Diamond offers the most plush feel, making it ideal for side sleeping. Super Sale Prices, Starting at only $1599! The first four-layer memory foam and latex foam mattress made for side sleepers, but supportive enough for any position. Perfect for those suffering from arthritis, bursitis, shoulder or hip pain. Super Sale Prices, Starting at only $1799! Super Sale Prices, Starting at only $1497! If your body type generates extra heat or you just want to sleep cooler, all our memory foam beds come with the option of adding on our patented Airflow Transfer System, which allows cooler air to flow in two directions even when you sleep in the same position all night. 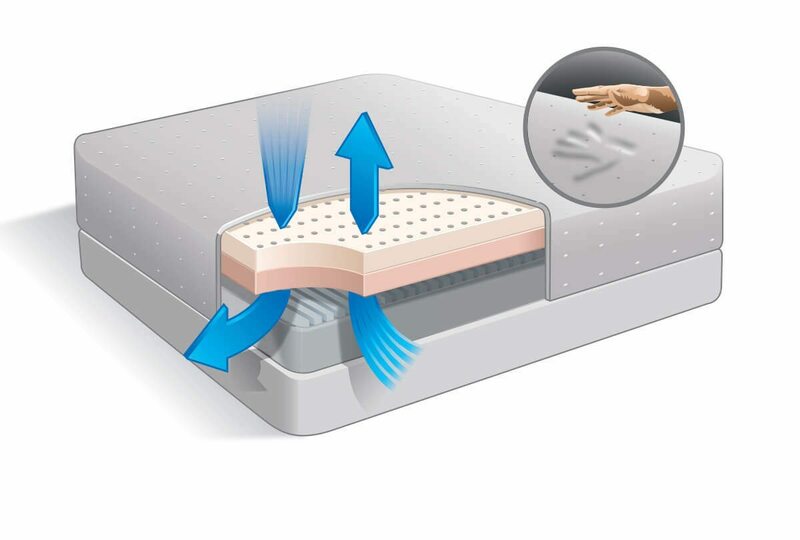 Cooler air will enter through the many small holes that go down through the surface of the memory foam and out through the convoluted channels on the firmer 2nd layer of foam. The air chambers are below these layers and will not be affected by this what so ever, so it is just an add-on to all for a full airflow circulation to reduce unnecessary body heat build-up. **The optional Airflow Transfer System™ is protected by U.S. Patent No. 7,334,280.